French antique Art Nouveau ring from the 1890’s. Product code: 2121 Categories: Sold Items, Sold Rings. The Art Nouveau era of the late 19th century was truly embraced by the jewellers in France and here we have a delightful example of an antique Art Nouveau era ring made in the 1890’s in 18ct gold in the most delightful free flowing and feminine design so typical of this era. 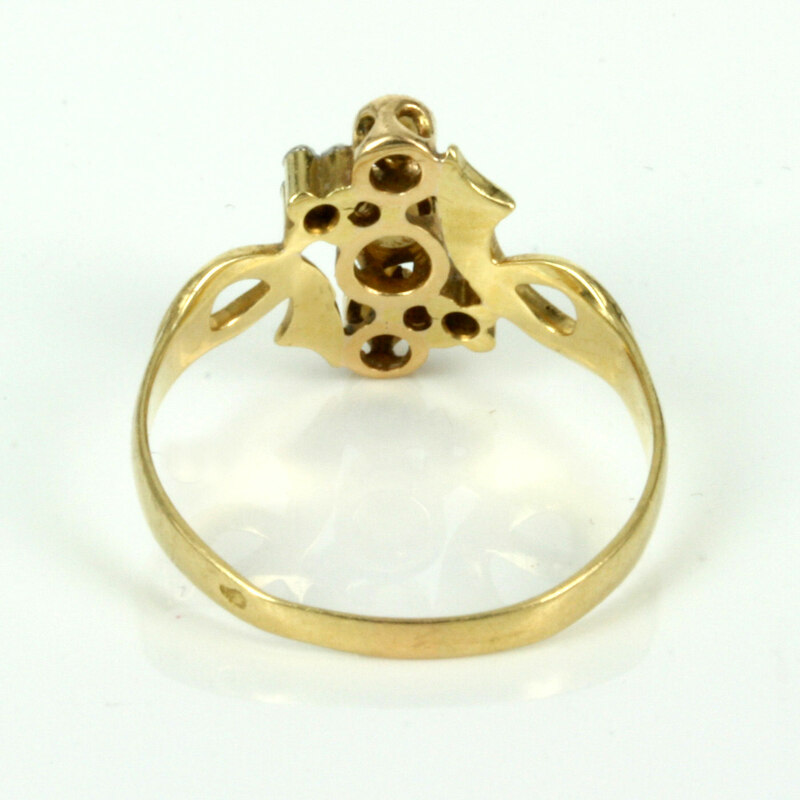 Art Nouveau jewellery took so much inspiration from nature with wonderful free flowing designs going as can be seen here in this ring. 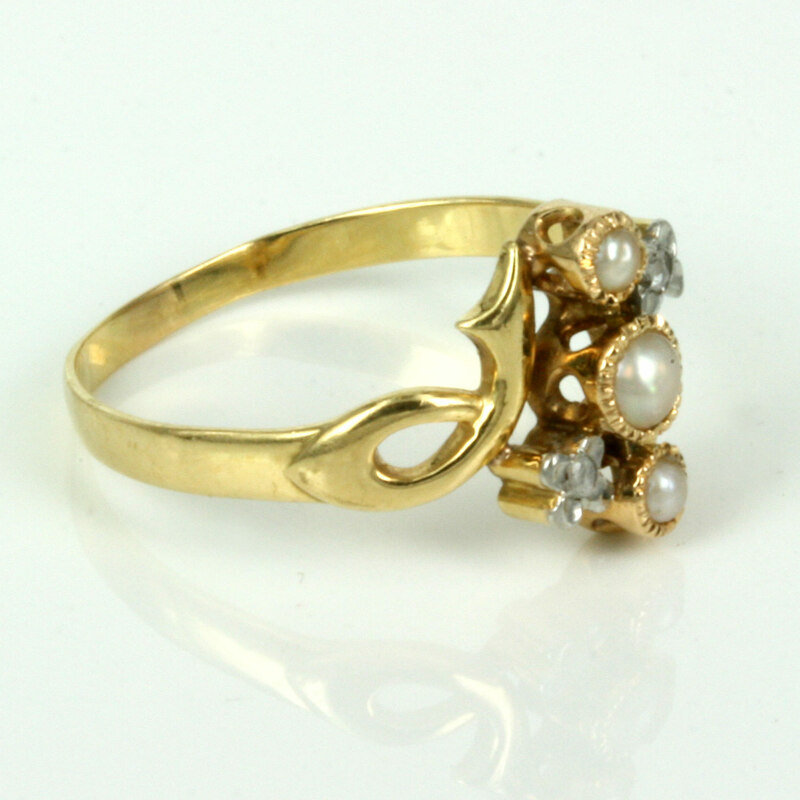 The band of the ring alone is so attractive and unique and all leads up to the central row of three pearls highlighted so elegantly with the 2 rose cut diamonds set into a flower “petal”. The Art Nouveau period only lasted until the outbreak of World War One and the jewellery of this era is so wonderful and unique and has a great advantage of so easily being able to be worn with modern jewellery or antique jewellery and be able to blend in so smoothly.